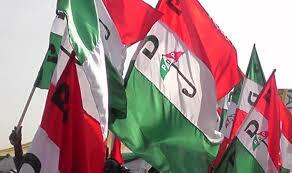 Sporadic shooting recorded in Rivers PDP Reps primary – Royal Times of Nigeria. Okehi, the headquarters of Etche Local Government Area of Rivers State woke up in tense situation as some hoodlum were seen shooting sporadically at the the venue Of the Peoples Democratic Party ‘s House of Representative pramaries. It was gathered that a group of persons suspected to be political thugs had gained entry into the venue of the exercise and later engaged one another in a hot argument. A source from the area, who identified himself as Benson, explained that some members of the party had allegedly come with some thugs to the venue. The source disclosed that some of the thugs tied objects suspected to be charms during the shooting, which was ostensibly targeted at scaring people away. It was gathered that the shooting, which lasted for about 15 minutes, caused confusion during the primary, where the incumbent member of the House of Representatives, Jerome Eke, was to slug it out with another PDP chieftain, Ephraim Uzi.